A rogue band of Loony Birds (Genus: Lunaticis) has been holding the Malheur National Wildlife Refuge Center in Oregon hostage since January 2nd. 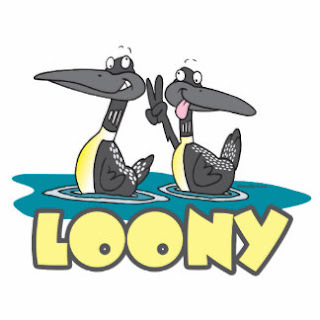 It's unclear how many, and what types of birds have been affected by the Loony invasion. Avocets, stilts, willets, killdeers, coots, phalaropes, rails, tule wrens, yellow-headed black birds, black terns, Forster’s terns, Caspian terns, pintail, mallard, cinnamon teal, canvasback, redhead and ruddy ducks. Canada geese, night herons, great blue herons, Farallon cormorants, great white pelicans, great glossy ibises, California gulls, eared grebes, and Western grebes. You won't find Loony Birds on the list. Crazy Loons just aren't welcome. That's because they don't belong there. Thus far, authorities are letting the Loonys strut around the building in hopes they'll get bored and fly off to the lower regions of Florida, where they can hang out with more like-minded species such as the Mangrove Cuckoo population. Birds of a feather and all. The brave armed men who took over a bird sanctuary (really? You've got to be kidding me) added one bird species to it: the cuckoo birds. They are all cuckoos. "Don't Tread On Me," a battle flag of the American Revolution is now being flown at a bird sanctuary where some of the cuckoo birds said they will respond with violence if forced to move. You've really got to be kidding me now. The Founding Fathers are rolling over in their graves. I think they want their country back. Good column, Dave. The authorities should just black off egress and regress and just sit them out. They will eventually run out of fuel and food. Thereby, a WACO is avoided. Thanks Glenn. I've noticed the mainstream media has shied away from covering this takeover. probably a good idea. The less publicity the better. Thus far, the gun-nuts are not flocking to the call of the loons. They should fly away after awhile.